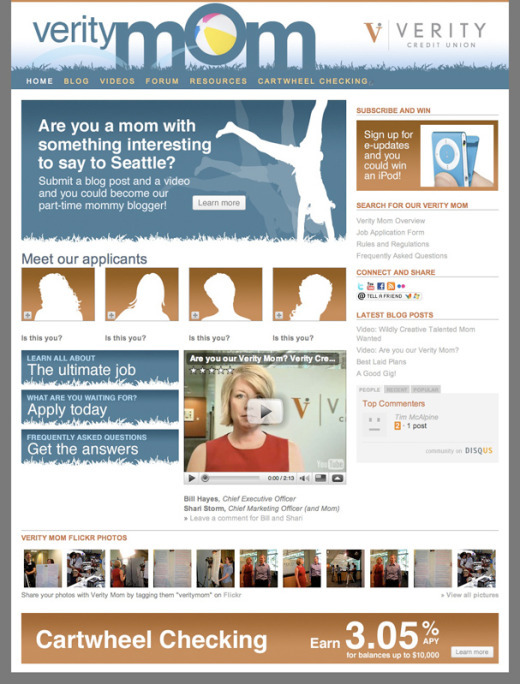 Aug 4 We helped Verity Credit Union launch a search for a wildly creative, funny and talented Seattle-area mom today! It's a new social media program aimed at connecting and learning from Seattle-area moms. Moms are a segment of the population that we feel credit unions have tremendous potential to attract. At the center of the program is a public search for a part-time mommy blogger. We think this is a really compelling story and the chosen mommy blogger has the potential of creating fantastic content. And, our experience running four successful Young & Free Spokester searches will help us greatly. We are working with social media pioneers. Shari Storm and her team at Verity Credit Union launched the first corporate blog by a financial institution in North America. Their experience will undoubtedly add to the success of this program. Another one of our challenge marketing concepts is now live and will help in fulfilling our purpose. Simply put, it is our purpose to help credit unions deepen their relationships with members and to persuade bank customers to become credit union members. We feel that the Mommy Blogger Challenge has the potential to attract thousands of new members to the credit union movement and Verity Credit Union is the ideal partner to launch with. Video: Are you our Verity Mom? When we began talking with Shari and her team about this concept, it was obvious that Verity Credit Union has a passion to understand and serve families and offer the products and services those families need most. We worked with Verity to tailor our Mommy Blogger challenge marketing program to match their brand, launch an exciting blogger search and introduce Verity’s Cartwheel Checking account to new visitors. This account is perfectly suited for moms. 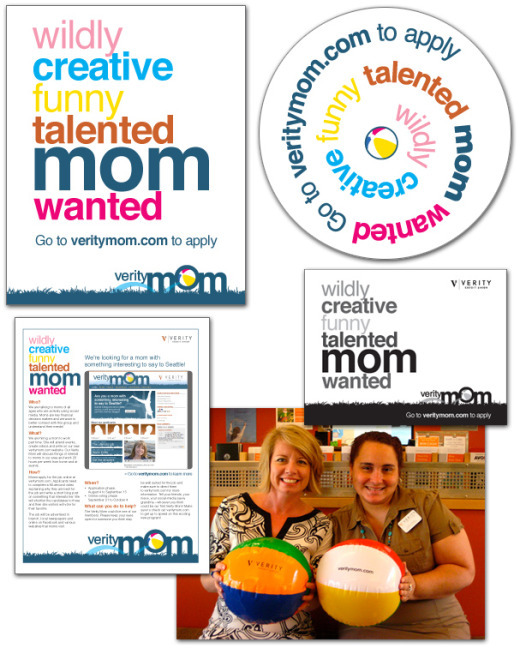 Please take a moment and visit the Verity Mom microsite. For more information, download our press release. Aug 12 Cooperative advocate Carol Schillios is living on a roof until she raises $1 million!